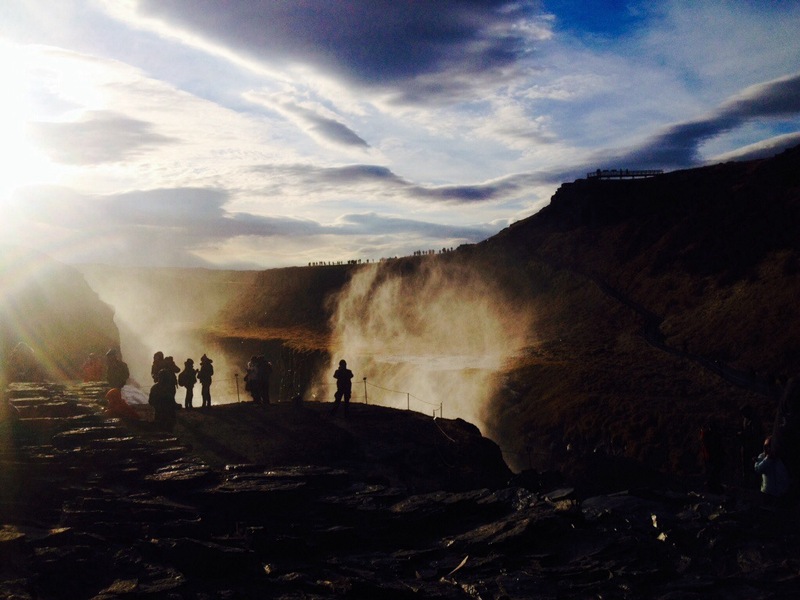 Iceland Golden Circle Tour: Geysers, Gulfoss Falls & Thingvellir National Park with Reykjavik Excursions. It was still dark when the bus pulled up to our hotel, despite it being almost 9am. 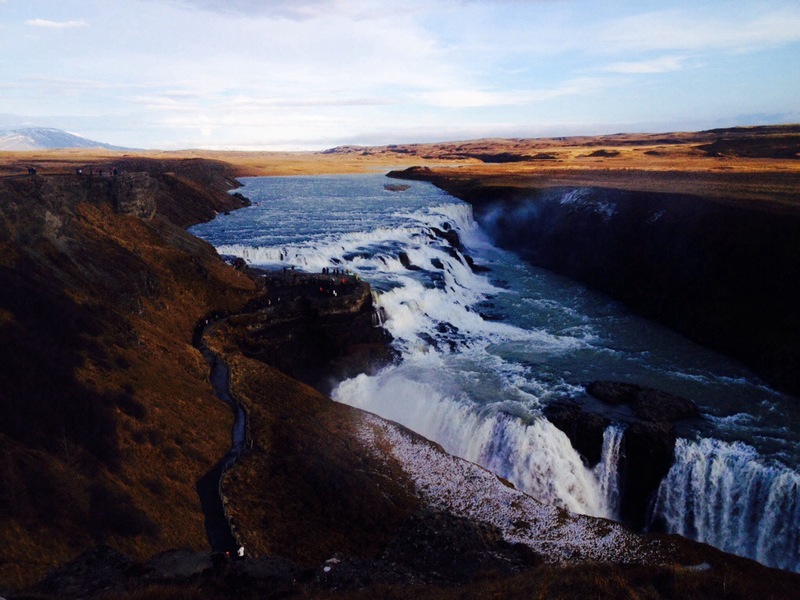 We were about to set off from Reykjavik on a Golden Circle day trip to Geysers, Gulfoss Waterfall and Iceland’s Thingvellir National Park and with daylight in the winter limited we had a lot of ground to cover. 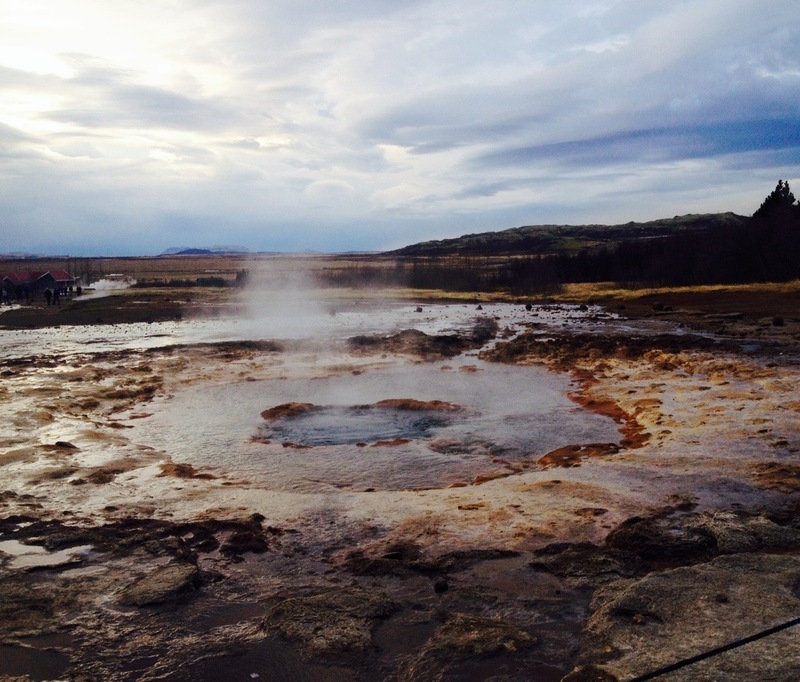 We set off from the capital along the costal roads, passing volcanic fields of dark lava where nothing will grow. We came across towns settled into the harsh landscape, having miraculously survived various eruptions over the years. Every now and then we would pass strange hubs of light, greenhouses are essential for farmers in Iceland and produce mostly tomatoes. Our first stop was to Friðheimar greenhouse to try fresh tomato soup and Bloody Mary’s, until you’ve tried fresh pure tomato juice you’ll never really know what this vegetable should taste like. 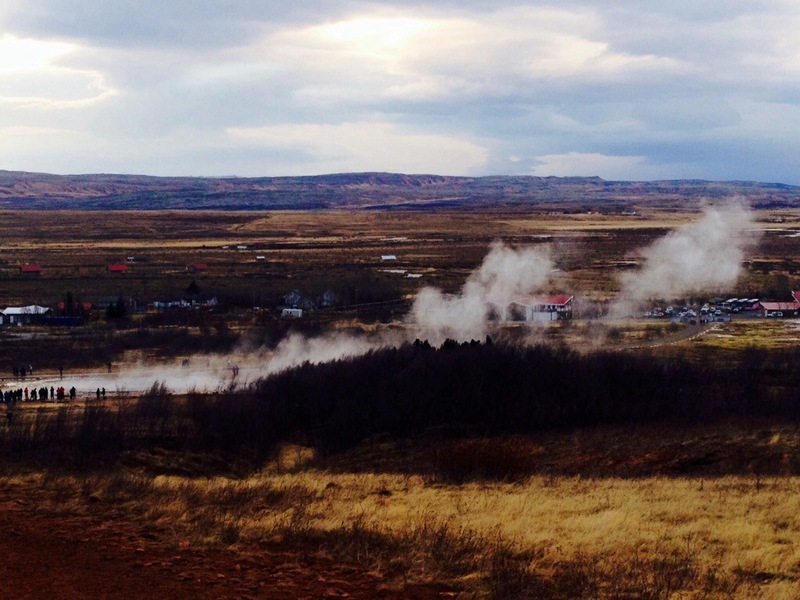 After our refreshment pit stop we hit the road again and headed along to the geothermal fields in Haukadalur. A short trek from the road we found several geysers, some of which erupted every few minutes while smaller ones simply bubbled and burped. There were miraculously few tourists and the attraction is completely free and unspoiled. We could have stayed in this incredible environment for hours if it hadn’t been freezing cold. 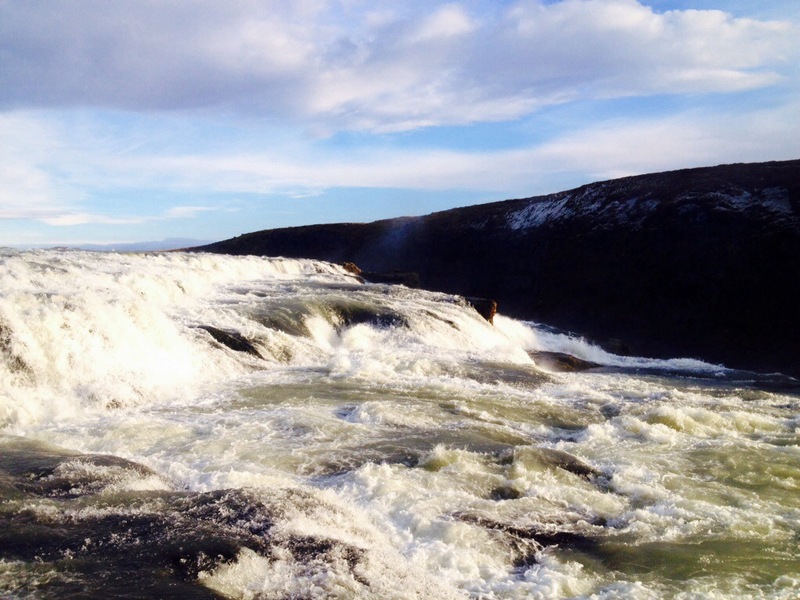 But if we thought it was cold at that point we got a nasty shock for what was to come when we reached Gulfoss and one of Iceland’s Glaciers. Dressed for British winter we were grossly unprepared for Iceland in October.As we made our way down the viewing paths to the Gulfoss waterfall we were splattered with freezing cold spray from the churning falls. We struggled to hear each other over the enormous roar of the water, which in a few months would be frozen and silent as true winter weather hit. 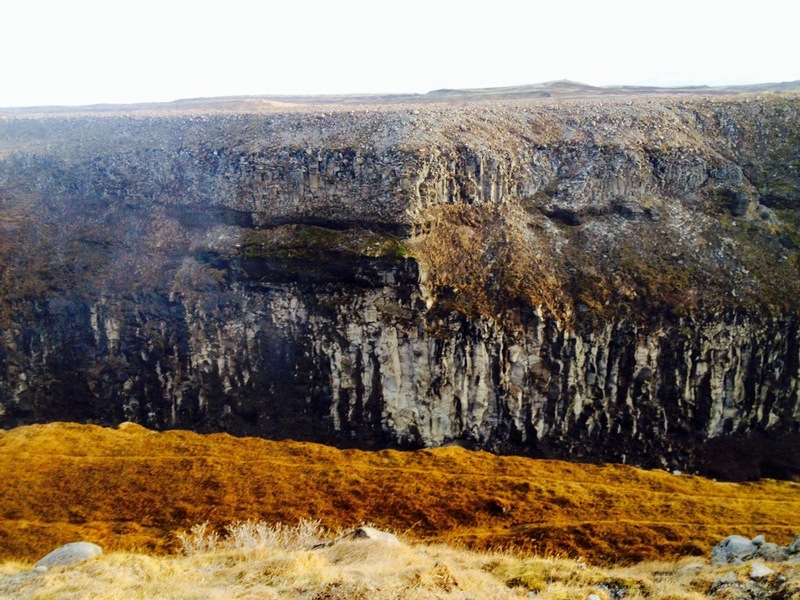 Heading back to the comparative warmth of the capital we drove through one of Iceland’s national parks, such astonishing scenery included stunning lakes and huge rifts in the rocks where continental plates had collided. We drove though areas which looked strangely familiar, having been used for filming of the TV series Game Of Thrones the huge glaciers in the background setting the scene for the drama “beyond The Wall” in Westeros. Having driven across half the country we were exhausted as sunset hit the lake, and made our way back to Reykjavik in the dwindling light of a pink twilight sky. 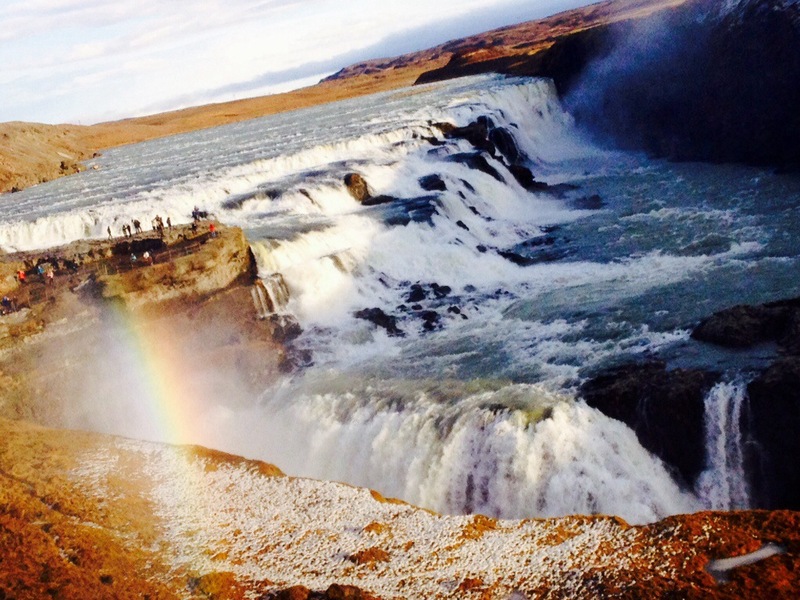 Iceland Golden Circle Tours are 9.900 ISK and can be booked HERE. 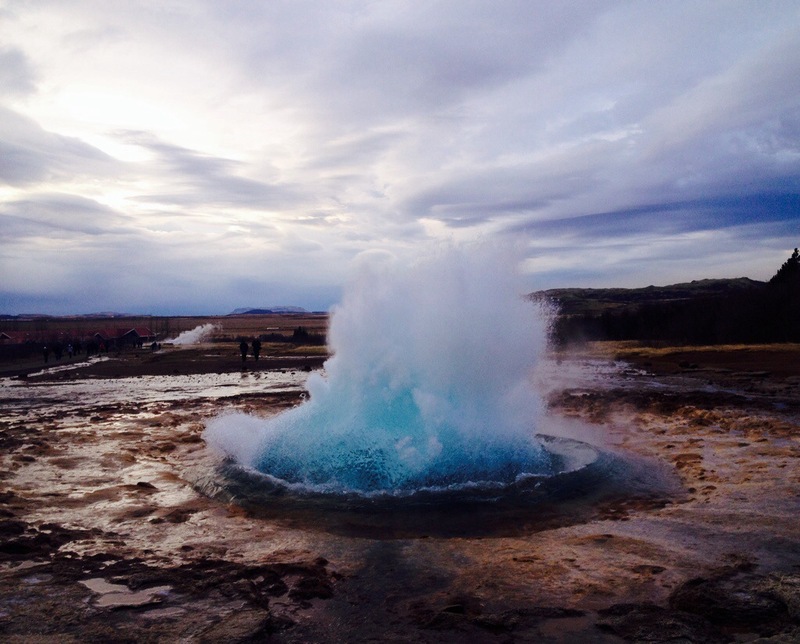 Read about The Blue Lagoon in Iceland HERE.